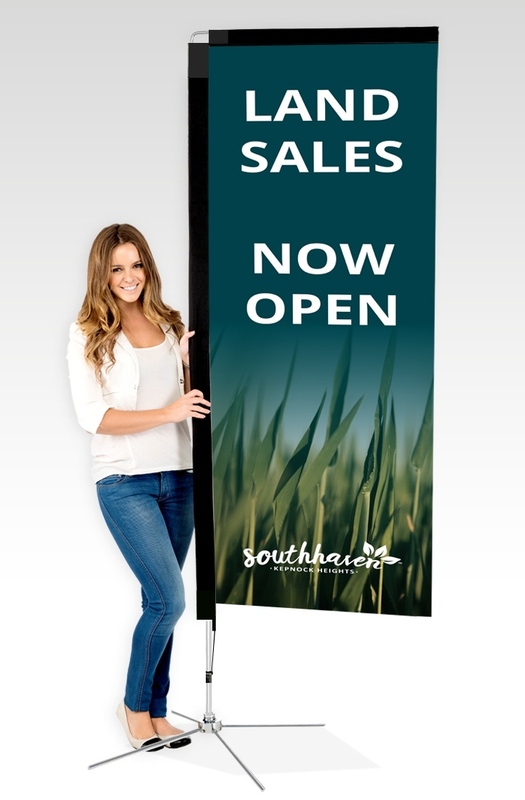 Our Rectangle Flags are great for events, as they look fantastic and are very easy to put up and down. 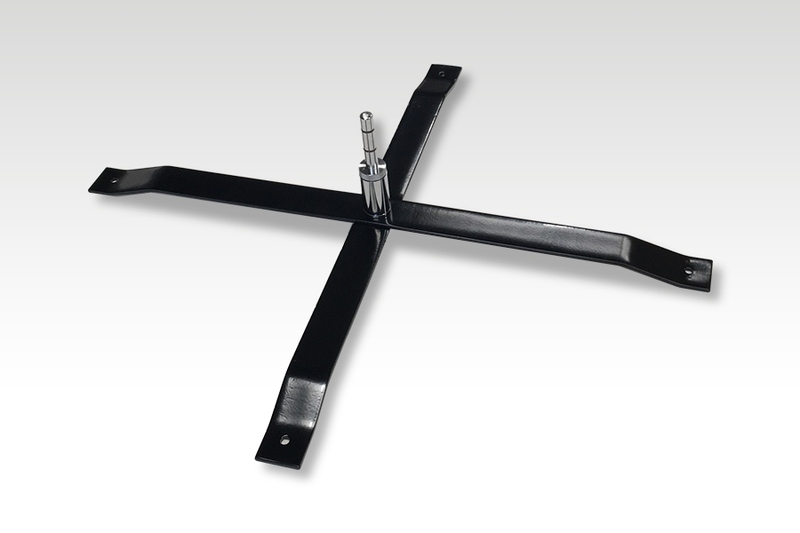 We have a range of bases available depending on where you want to use it. 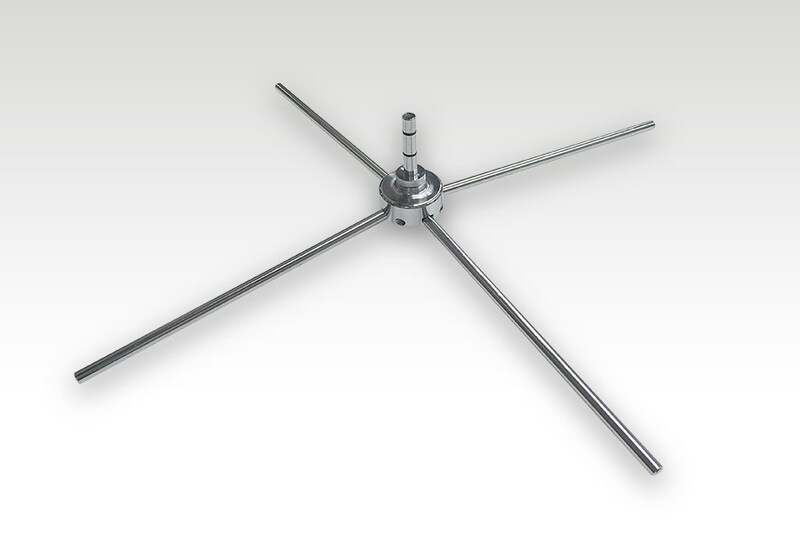 Click here to read our blog post on how to select your base. 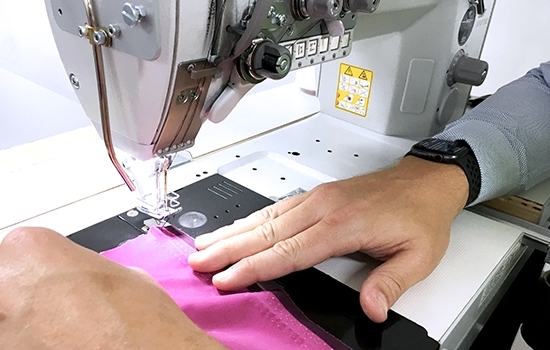 Click here for installation and care instructions for your Rectangle Flag. 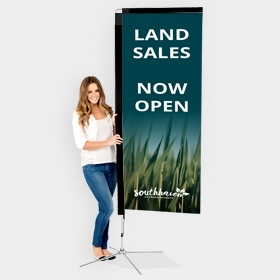 Our single sided rectangle banners print the graphic on one side of the fabric - and the other side of the fabric displays the graphic in a mirror image with reduced vibrancy of colour. 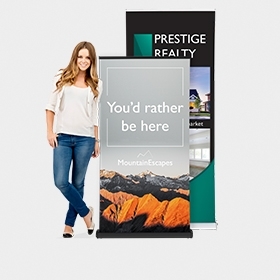 The double sided rectangle banners are actually two banners printed on blockout material sewn together so the graphics display the correct way on both sides. 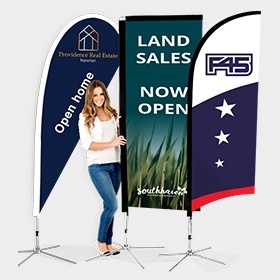 Click here to see examples of single sided and double sided printed flags. How long will my flag order take to produce? What thickness polyester fabric do you supply for Rectangle Flags? 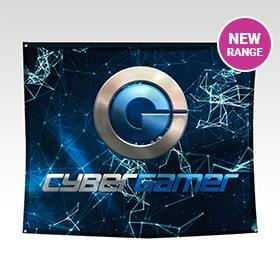 ​Our Rectangle Flags are printed on our high quality SignWeave™ polyester fabric. 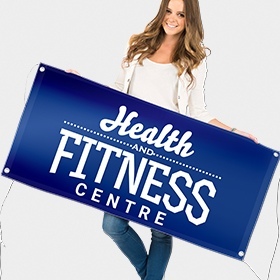 Our single sided Rectangle Flags use a 120gsm SignWeave™ material. 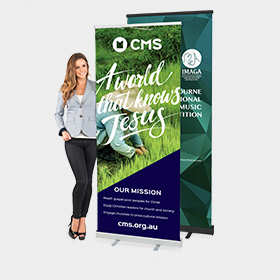 Our double sided Rectangle Flags are printed onto a special 145gsm Blockout SignWeave™ material and 2 of these banners are sewn back to back. How long will the print on the flags last? All of our polyester flags are printed using the dye sublimation process which provides high quality print and vibrant colours. When used internally (i.e. out of the sun and weather) these flags will last indefinitely. 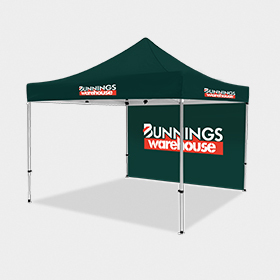 When used outdoors the dye sublimated polyester flags will fade over time - and the amount of fading will depend on the amount of UV they are exposed to. As an indication we would expect the flags to last 6 - 12 months before fading when they are left outside all the time - but this could vary dramatically depending on the conditions they are exposed to. 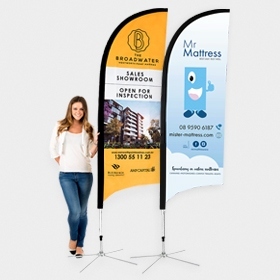 It should be noted that flags supplied by other suppliers in Australia will last for the same amount of time as they are all printed with the same dye sublimation process. 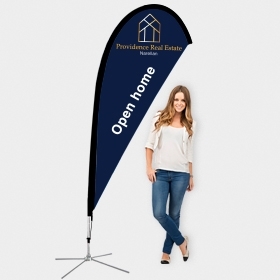 Our replacement flags have very low prices so you can simply replace the flags when required and continue to use the same poles and bases. What is the sleeve and what colour should I select? 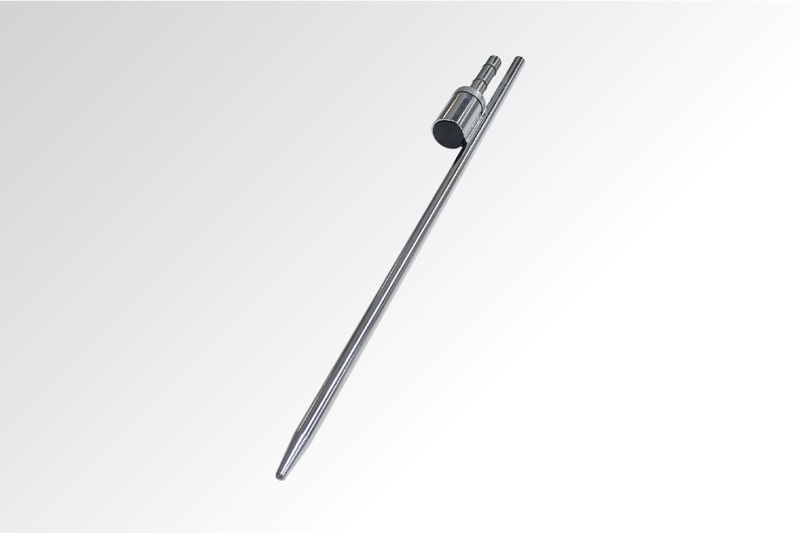 The sleeve is the pocket that that pole slides into and it created using a strong fabric. 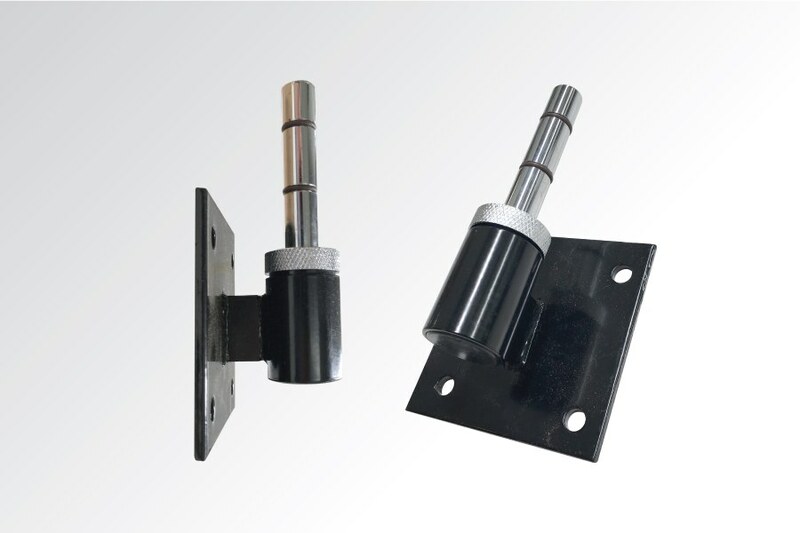 We can use either black or white material for this part. Most people try to match it with the artwork, if the background is white they would select a white sleeve and vice versa. If your flag isn’t white or black it comes down to personal preference. What does single sided mirror reverse print mean? The artwork is printed on one side of the flag so you see the correct image and colour on that side. The other side of the flag will display the mirror image of the artwork and the colour will have less vibrancy (as the printed image has bled through from the other side of the flag). How are the double sided flags printed? We print 2 flags on a blockout polyester material and sew them together (back to back) to get a high quality satin printed finish that can be read correctly from both sides. What is the difference between the Cross Base & Water Bag and the Premium Cross Base? 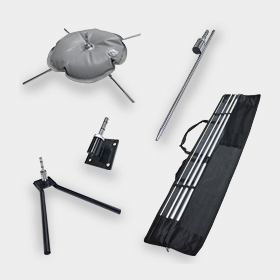 ​The Cross Base & Water Bag is finished with chrome plating and has 4 legs that fold out and back together so, when it is folded up it is very compact. 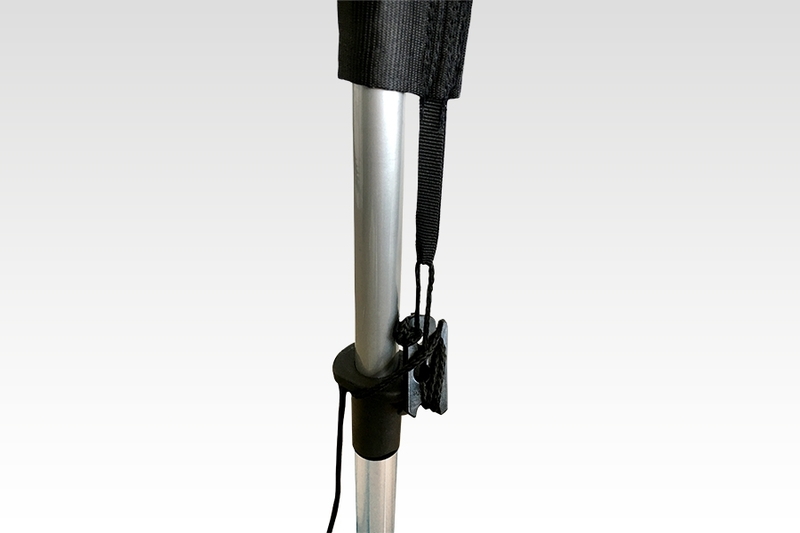 When used with a filled 10 kg Water Bag, it provides good stability for our flags. 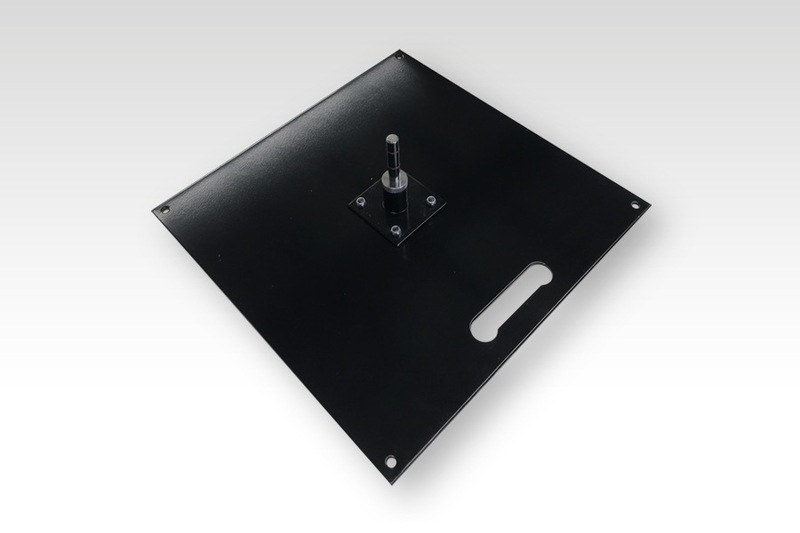 The new Premium Cross Base has 2 x 50mm wide black powdercoated steel plates that are in an “X” shape and are then folded back together for transportation. 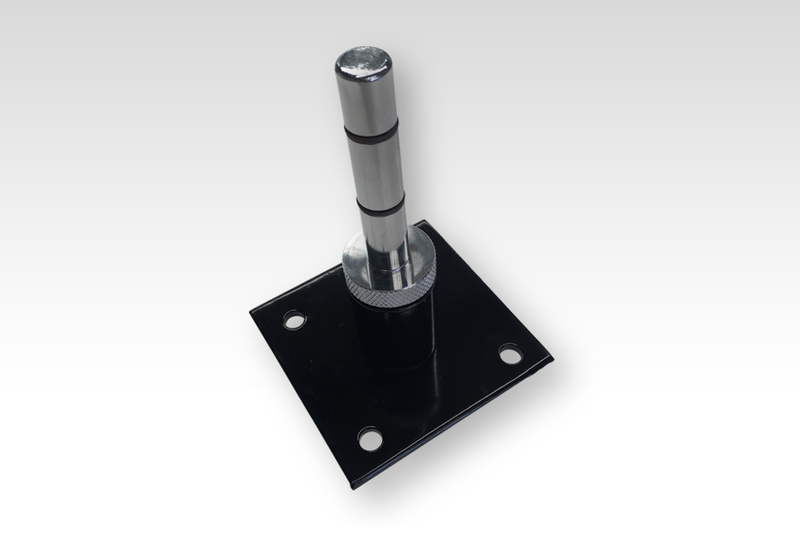 The base is 825mm wide so provides great stability on hard surfaces. 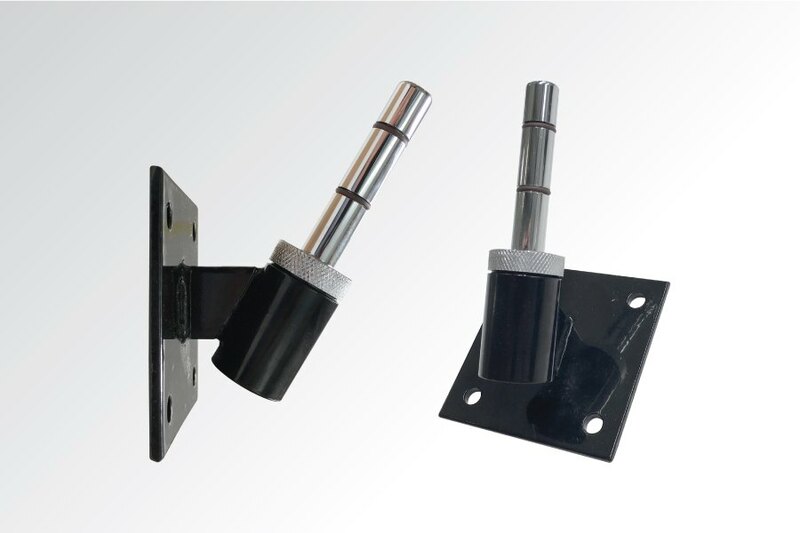 The 2 plates also have 10mm holes in each end, so you can attach 4 tent pegs through the holes to provide excellent stability on non-solid surfaces. 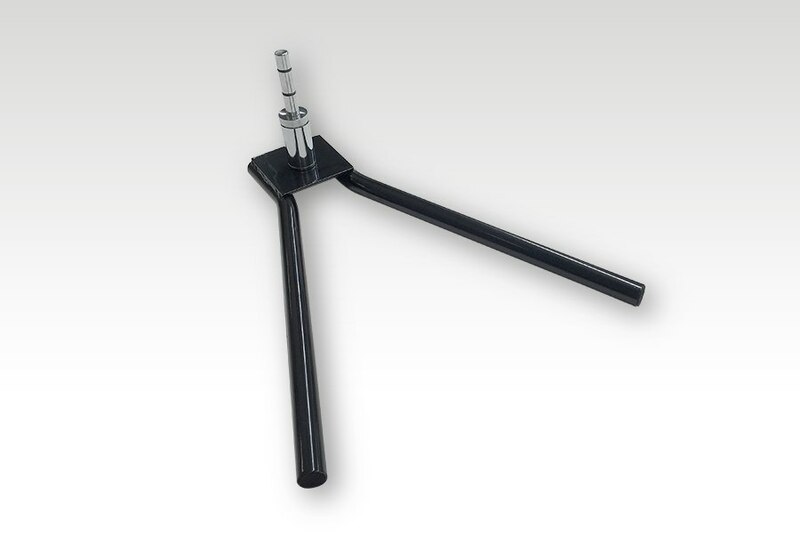 The powdercoated finish provides this base with greater longevity when exposed to the elements. 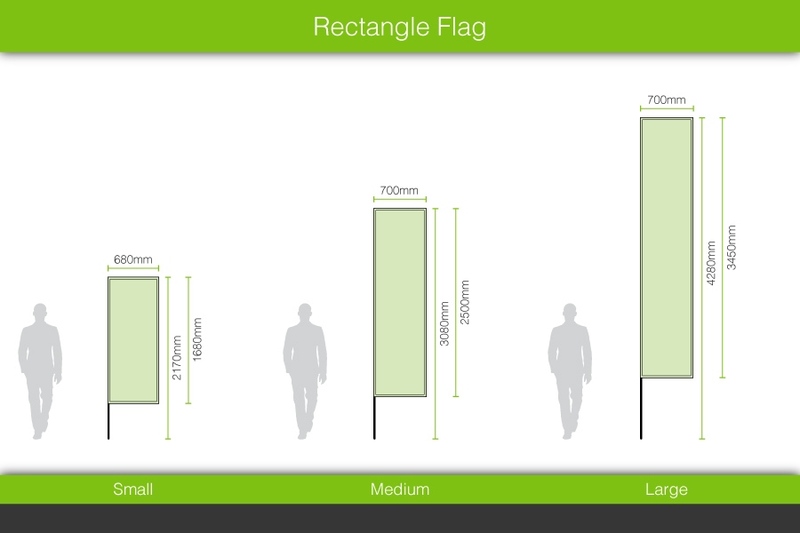 How much do the flag bases weigh? Will your bases fit a set of poles I already have? It is possible, however we can only guarantee our bases wiill fit our own poles.